Lumen ratings... facts or fiction? Often one is faced with marketing propaganda that is tough to decipher. One area that there is often confusion or misunderstandings about is lumen ratings on aftermarket LED auxiliary lights. A lumen rating is the amount of light given off by any particular source, If we are talking about a light bulb, that is a legitimate use for a lumen rating, If we are talking about a complete light with optics, then the term lumen falls very much short of telling the customer any real info. Very often in today's market place, we see lights rated at 4400 lumens or even more. Will a 4400 lumen light allow you to see better than a 1000 lumen light? Not necessarily. In fact sometimes quite the opposite, the 1000 lumen light wins. Optics are the key to getting a great quality light beam that will allow a rider to see what they need to, without blinding oncoming drivers and lighting up the tree tops. 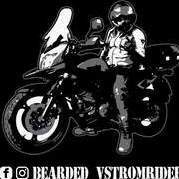 The real information that a rider needs is a lux rating at a given point. Beam pattern selections are also very important. Prior to making a lighting decision for your trusty steed, take a look at what lights truly do offer a real optical enhancement that optimizes what lumens are available. In general a single source LED with a large optic will optimize the amount of raw lumens at hand. A multi-emitter light may look brighter, but due to the lack of space for quality optics they often cannot match the long distance penetration offered by a single emitter design. 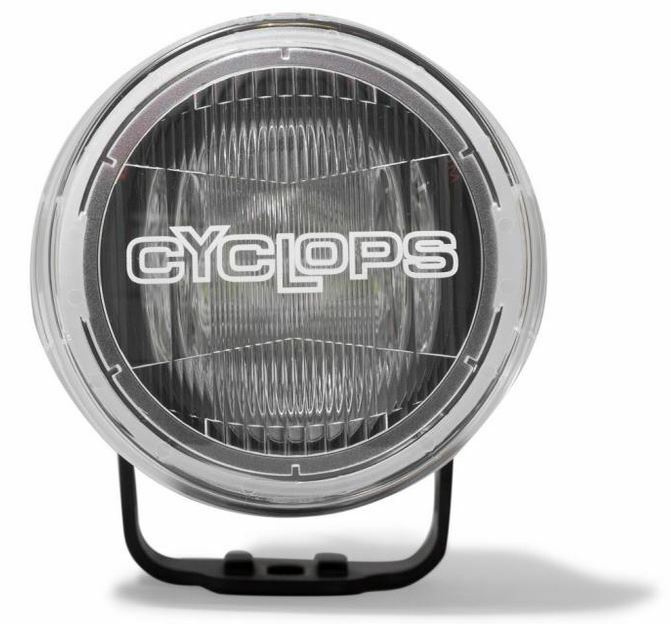 The Cyclops Adventure sports Long Range Optimus LED offers outstanding long range distance as well as a tunable product with the availability of wide beam filters that alter the beam pattern for a clipped optic (upper cutoff) that helps to eliminate oncoming blindness, yet retains much of the long range penetration so commonly not found on LED aux lights. Note the large optic and single emitter design. LED lighting is a continuously evolving technology. We will all be rewarded with great products from top manufacturers and suppliers as time goes on. In this case a little knowledge goes a long ways.